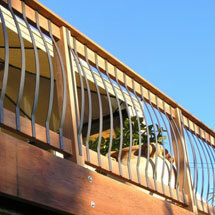 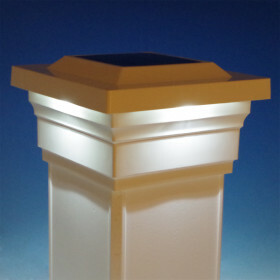 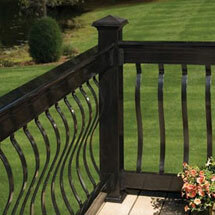 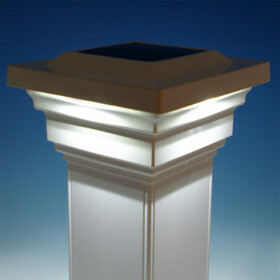 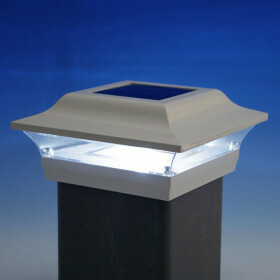 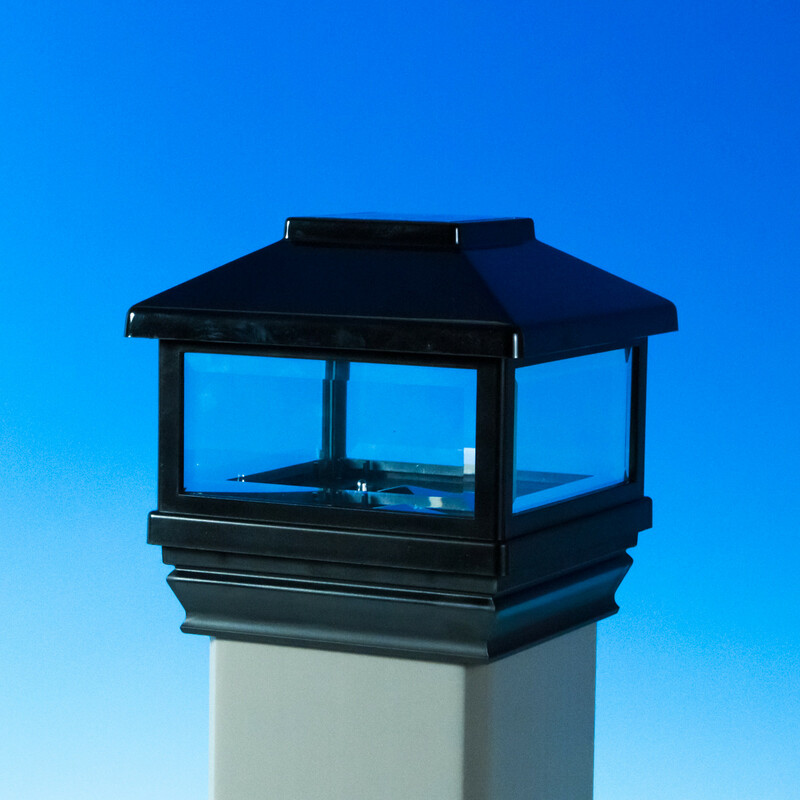 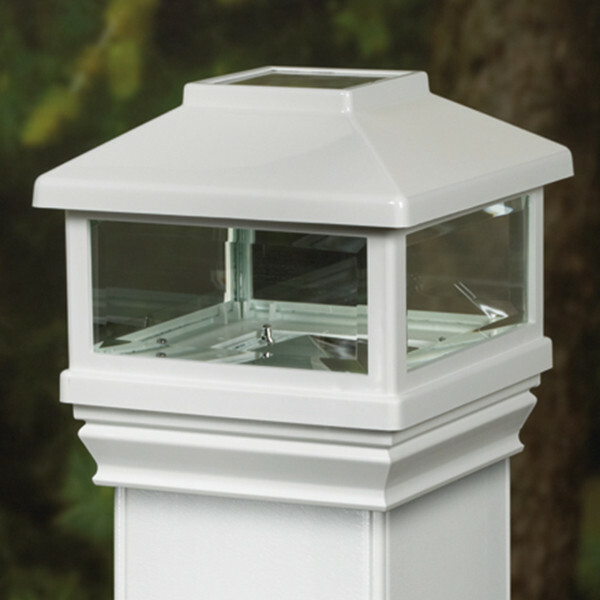 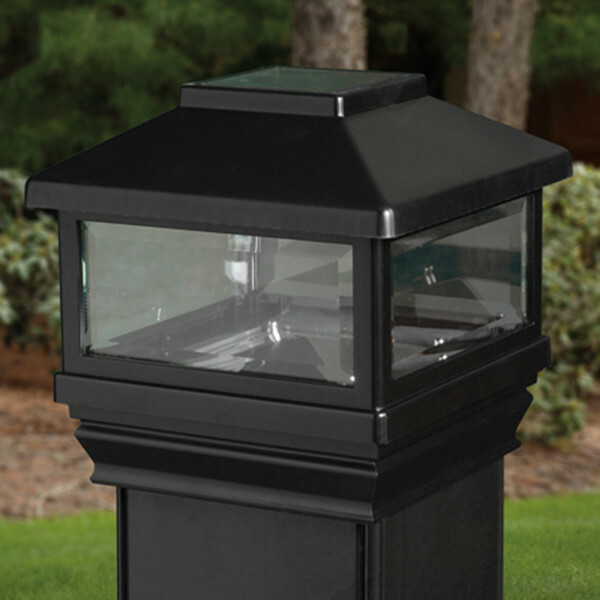 Elegantly light up the night by adding Solar Post Caps to your Deckorators CXT Railing System. 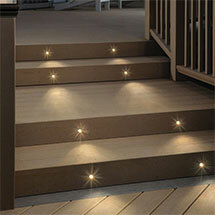 These solar-powered caps are an easy way to increase the ambiance on your deck. 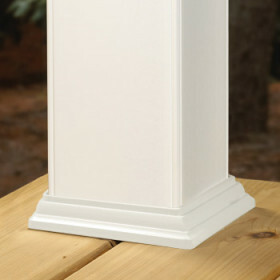 Place one on each post, or alternate with Stylepoint Post Caps for a more subtle look. 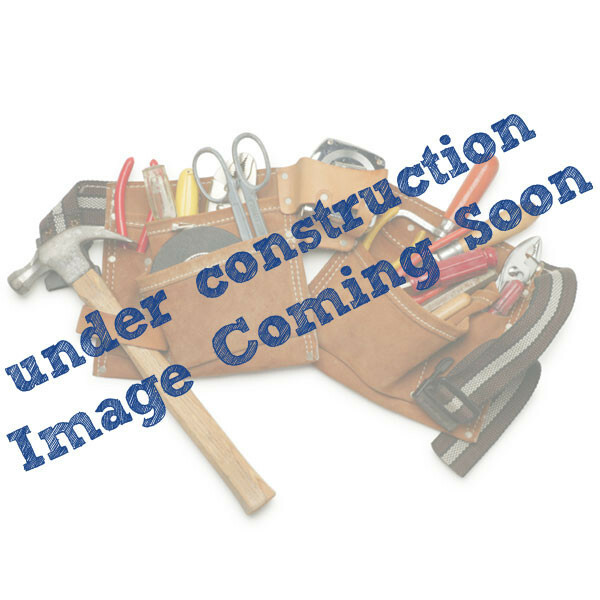 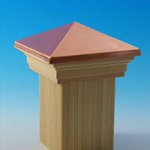 Post Cap Opening Size 4-5/8"
(width x depth x height) 5-7/8" x 5-7/8" x 2-3/4"